“Apples are high in polyphenols, which function as antioxidants,” said Laura Flores, a nutritionist based in San Diego. “These polyphenols are found in both the skin of the apples as well as in the meat, so to get the greatest amount of benefits, eat the skin of the apple.” All of these benefits mean that apples may mitigate the effects of asthma and Alzheimer’s disease, while assisting with weight management, bone health, pulmonary function and gastrointestinal protection. 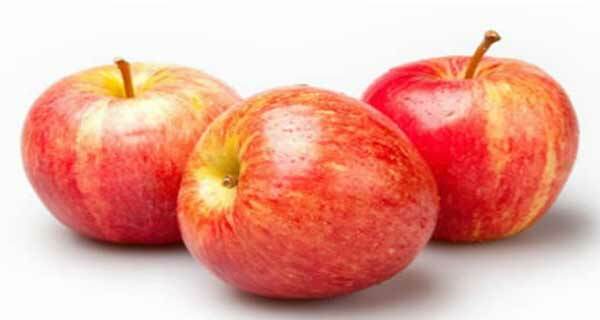 Often called a “miracle food” and “nutritional powerhouse,” an apple a day really may keep the doctor away. Apples are loaded with vitamin C. Almost half of an apple’s vitamin C content is just under the skin, so it’s a good idea to eat apples with their skins. Flores said that this is also where apples’ fiber is found. Apples contain insoluble fiber, which provides bulk in the intestinal tract. The bulk holds water that cleanses and moves food quickly through the digestive system. In addition to digestion-aiding insoluble fiber, apples have soluble fiber, such as pectin. This nutrient helps prevent cholesterol from building up in the lining of blood vessels, which in turn helps prevent atherosclerosis and heart disease. The American Institute for Cancer Research recommends eating lots of fruits and vegetables, including apples. The antioxidant content of apples ranks among the highest for fruits, and research shows that antioxidants help prevent cancer.